The computer has become the most significant device of performing the works in the office as well as in the households. Hence, it is referred as the best digital friends of the people for its role in performing difficult tasks. One can’t perform the work without using a computer efficiently and accurately. IT industry is growing rapidly and producing lots of job opportunities for skilled professionals. Desktops are subject to the same kind of problems as other computers: they can freeze randomly, crash, have limited connectivity, and be infected with viruses just the same. Therefore a tune-up becomes necessary once in a while. Take help of expert technicians at VRS Technologies in repairing the devices from various problems and get continuous performance. 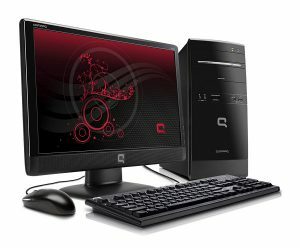 All desktop brand PC repairs in Dubai including HP, Dell, Toshiba, Asus, Lenovo, Acer, Samsung, LG and Apple are provided. Standard quality replacement parts are used in the computer repairs and complete satisfaction is guaranteed. Please get in touch with us at +971-55-5182748 for a tactic plan for PC Repair Services.